A company named after the Czech word for glass, SkLO creates beautiful lighting collections, designed by Karen Gilbert and Paul Pavlak, both having a rich background in craft, architecture and design. 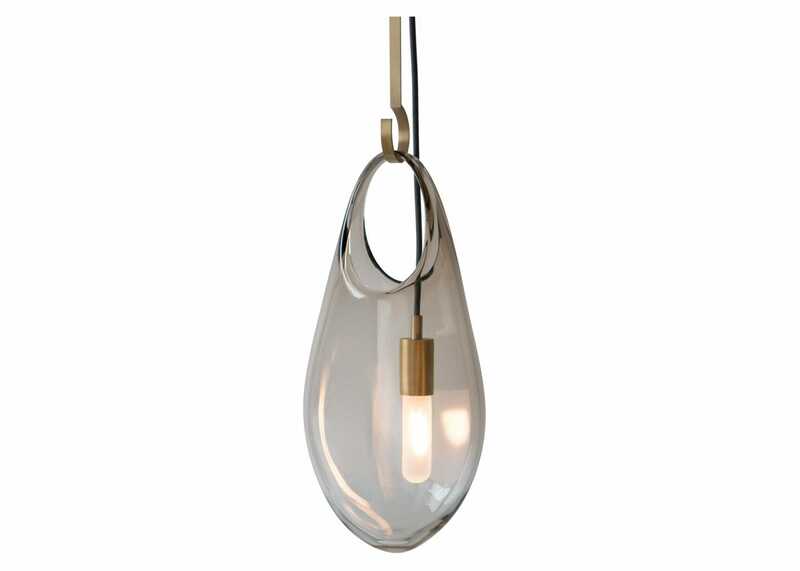 Using the compelling hold vessel as a diffuser, the hold pendant hangs on double-ended solid brass hook which in turn hangs from a simple solid brass loop at the canopy. 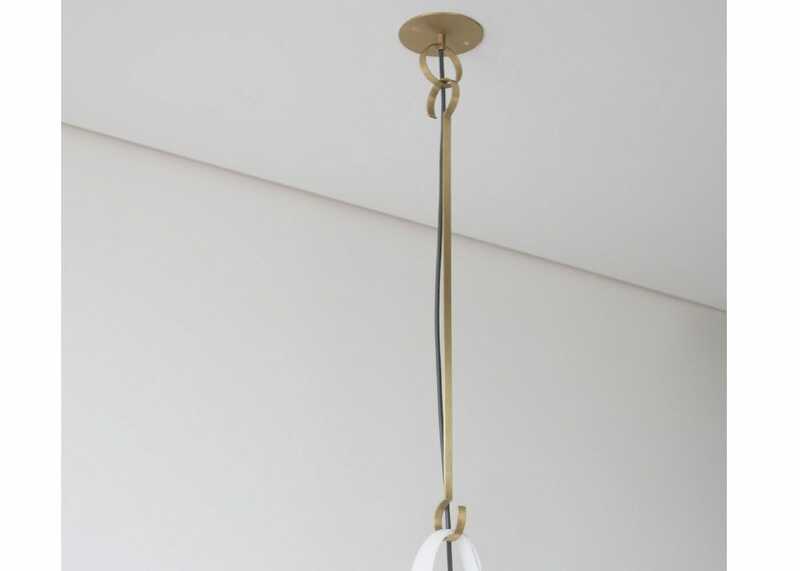 The socket is housed in a handmade solid brass candle cup, separately suspended on its own fabric-wrapped electrical cord, suspending the bulb within the glass. Contrasting materials used for the shade and fitting create a simple but unique look to the light. Hand blown in the Czech Republic. Light is compatible with a dimmer switch, and drop length is also adjustable. Comes in four different drop/hook lengths, perfectly suited to varying ceiling heights. Fitting: Brushed Brass and Grey Cord. Bulb: Included, E27 Max 60W Halogen. For indoor use only, pendant installation required. SkLO hand blown glass should be cleaned only with a soft lint-free or microfiber cloth using lukewarm water and a small amount of mild liquid dishwashing detergent, followed by a rinse with clean lukewarm water. Dry with a lint-free or microfiber towel in order to prevent spots. Wash only with lukewarm water - never expose hand blown glass to extreme temperatures, either hot or cold. SkLO metal lighting components, stems and canopies have a hand-applied wax finish. Soft cotton or nitrile gloves must be worn during installation. Chemicals, cleaners and abrasives will damage or remove the finish. Wax finishes are not permanent, they are meant to be a living finish that is imperfect and changes over time, naturally darkening or polishing with age, use, and exposure. Wax finishes should be dusted with a soft dry cloth as needed. If desired, a wax finish can be re-applied over time with an archival quality wax - such as Renaissance Wax - per the manufacturer’s instructions, but this not strictly necessary and is up to the preference of the individual. 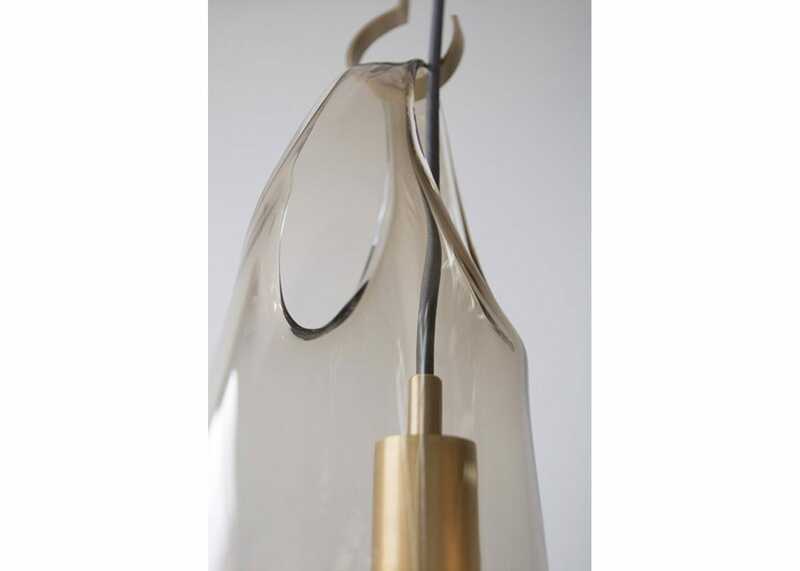 All glass dimensions are approximate – hand blown glass dimensions vary by nature and intent.